Intrinsic Safety – Part 3 – impact of Gas Group on loop approval and cable lengths. 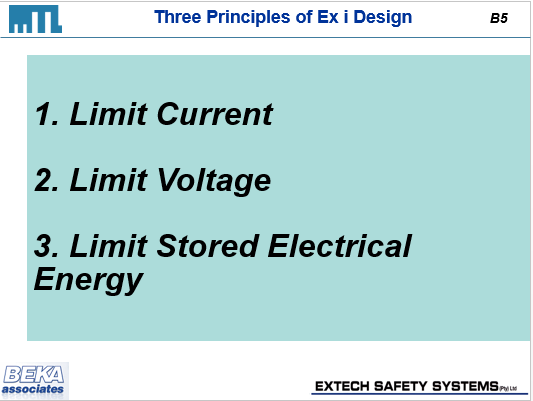 Intrinsic Safety for zone 2 (Exic) and using longer cable runs. Further to my previous article on calculating an Intrinsically Safe loop approval (http://www.instrumentation.co.za/7571a ), we consider the impact of Exic and how to handle long cable runs in IS loops. As wireless devices such as mobile phones and laptop computers become more reliable and cost effective, there is growing interest amongst the process industry as to the benefits to be found from enabling such devices to be used in hazardous areas. However, unlike most industries this is not a simple task. Installing wireless networks in hazardous areas requires careful, expert planning and execucution. John Hartley, Managing Director of Extronics, explains the hazards posed by radio frequency sources and the issues involved when installing wireless networks in hazardous areas, and how to minimise the potential risk. How does a Zener barrier work? The protection of electrical apparatus for use in flammable atmospheres is embracing a new technique: Ex ic. As a logical extension of the existing intrinsic safety concept, it formalises the application of intrinsic safety in Zone 2 hazardous areas, but users and manufacturers alike are wrestling with the details. The discussion centres as much on the withdrawal of the Ex nL technique, as on the application of Ex ic which replaces it. The paper deals primarily with the impact on countries that follow IEC and ATEX practice, but there are parallels with the ‘non- incendive’ technique that is adopted in North America.